Customer knowledge is the most valuable business commodity in our future. Facebook already knows your heart, Google your intentions, and Amazon your purse. With LinkedIn, Microsoft will know your brain. You don’t get a say in the matter. 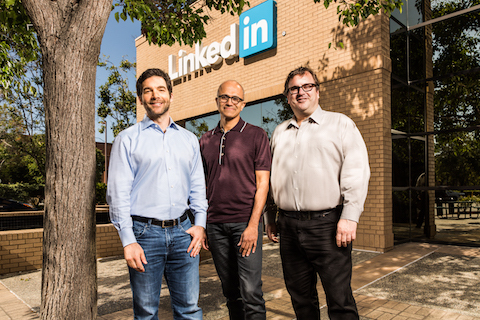 Why did Microsoft agree to buy LinkedIn for $26 billion? If you listen to their CEOs, Satya Nadella and Jeff Weiner, there are synergies in the deal — basically Microsoft gets to make its products smarter through customer knowledge, and LinkedIn gets an seasoned and effective sales force. I listened to their buzzword-compliant conference call yesterday and learned all about it. John Battelle once explained that Google owned what he called “the database of intentions,” because your searches reveal what you’re looking for. By analogy, my former Forrester colleague Nate Elliott stated that Facebook owned the database of affinity — the complete catalogue of what you like. But things have gotten clearer since then. By applying the rapidly increasing power of artificial intelligence to their vast compendiums of customer data, these companies can understand who you are, who you know, who you work for, who you want to work for, what you like, what you want, what you’ll buy, and who you’ll vote for. LinkedIn’s web interface is crap. It’s a money-losing social network with most of its user growth prospects outside the US and Europe. Forget the products it’s selling now. Why did Microsoft just offer to pay 150% of what the company was worth the day before? The value of LinkedIn is that every information worker is on it, and so are their connections. After the acquisition, Microsoft will know everything about you at work. 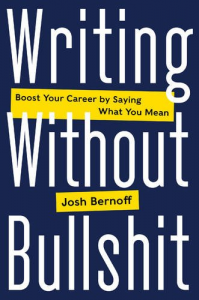 It will know your colleagues, your work history, and your job skills. With Office 365, it will know what you are creating in PowerPoint, in Word, and in Excel. If you use Outlook, it will know who you are emailing with and what you are talking about. Do you really imagine that it will do nothing with that knowledge? With a little bit of A.I., it is within Microsoft’s grasp to understand your complete work life. (Yes, that might take a year or two, but it’s coming.) What will Microsoft do with this knowledge? It will make your products work better, anticipating your needs. Nadella said that. It will serve you advertising based on what you do at work and what you put in your last Outlook email. It will enable salespeople — and not just Microsoft salespeople — to persuade you more effectively based on everything you do at work. If you mention “database RFP” in an email or a document, salespeople who sell databases will start calling on you. Privacy? Ha! Privacy policies change. Microsoft is only serving you better. They’ll give you the option to turn this off, but doing so will be complicated — and will get in the way of Cortana and Word and LinkedIn giving you the best possible experience — so few will. Here’s what the future looks like — who will know you and how they’ll make money from it. Facebook will know everything you’re doing in your personal life. As a result, it will make money with media and consumer goods companies. Google will know everything you’re planning on doing or considering doing. This will continue to make it popular with small businesses. Amazon will know much of what you’re buying, which will be great for anything you’ll buy online — which is, in the future, just about anything. And Microsoft will know everything you do at work. As a result, it will dominate with B2B sellers. For advertising, sales, and customer knowledge, the battle for the future is among these four companies. They will continue to elbow onto each others turf, using the currency of their knowledge of you. Apple wins based on selling hardware with great margins, but in this world, I think the growth five years out will favor the other guys. I cannot see Apple leveraging its knowledge of customers in the same way as the other four Internet giants. We are the product now. In our quest to get everything for free, we have given up this knowledge of ourselves. That trend will only accelerate. We have become addicted to tools that will make us targets. There’s a process to grieving the loss of your privacy. First you deny it. Then you get angry about it. Then you try to make a deal about it. Then you get sad. And then you just accept it, because this is your future. You cannot hide. You need these tools. You’re about to trade the annoyance of paying for the tools you need for the annoyance of constant harassment from people who will know all about you. Jeopardy champion Ken Jennings, beaten by the artificial intelligence of Watson, said “I, for one, welcome our new computer overlords.” How about you? You’re right. Thanks, I fixed. Fascinating that this is one of the rare posts shared more on LinkedIn than Facebook. No, I do not need these tools. I can perfectly live without them. This is a great analysis and prediction. The future of business is more about personalized information than about products. Should the other big tech companies force their employees to quit Linkedin? They could do that claiming ownership of the profiles for sales rep, adding stronger confidentiality rules and suing a few employees for breaches. The Linkedin acquisition, if it goes thru gives an unfair advantage to MS in the B2B Tech industry.